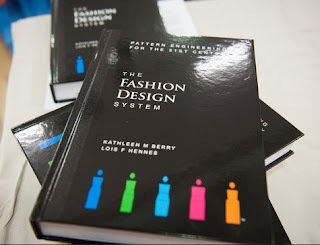 Our first On Stage presentation was a presentation by Dr Kathleen Berry she presented Fashion Design and Pattern Making. Whatever your body shape or size, she showed us how you can create garments that make you look good and feel great. This presentation was followed by a fashion parade showing the beautiful fashions by Sobidah. 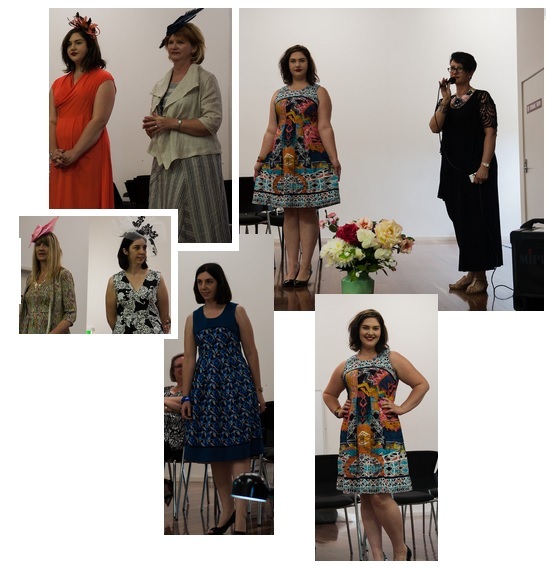 Not only did we see the fashions we were able to try them on and purchase them on the day. As it was coming up for Melbourne Cup they incorporated some cute little fascinators in the parade, which came from another stall holder Alison Clark. 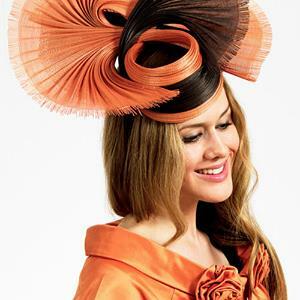 Anyone looking for that special piece to top off their Melbourne Cup outfit? It was hard to go past these breathtaking hats from Alison Clark. After lunch we said hello to Zena Kennedy and heard her presentation on Let’s Start at the Very Beginning. What ever hobby that you have there are always the starting items that you will need. She shared with us the basics of card making and how to gather a starter kit together. It looks like you don’t need everything after all. This was very informative. 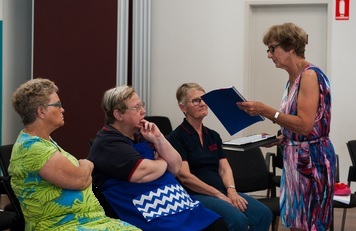 Quota Carindale is a service club supporting various organisations throughout the community.